The word "ambrosia" is translated from the Greek as "food of the gods". It is often found in the myths of Ancient Greece. In the 18th century the famous botanist Carl Linnaeus named one of the North American plant ambrosia. Ambrosia - what is this plant? Today ambrosia can be found on all continents of the Earth. This is one of the most widespread and harmful weed. There are three forms of ambrosia: the long-term, tripartite and Polynesia. They are a huge threat to agriculture. What's so dangerous this weed? Ambrosia strongly dries up soil. Especially dangerous in this respect Polynesia ambrosia. It consumes several times more water than all the cultivated plants. A strong root system, ragweed gives wheat and peas to germinate, which can lead to loss of entire harvest. In addition to water, pull weeds from the soil all the trace elements necessary for healthy plants. 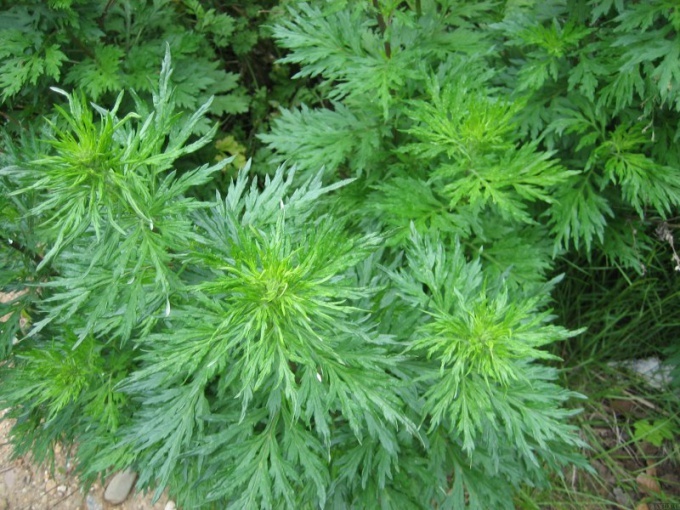 In the end, the soil is impoverished and loses its fertility, and ragweed growing and can reach up to three meters in height. Ambrosia has a negative impact not only on soil and crop plants but also on human health. Like any weed, ragweed is actively propagated by means of seeds and pollen, which she throws into the air in large quantities. One plant can produce up to 100 thousand seeds per year and keep these figures for 40 years. This pollen is a strong allergen for many people. Some are even forced to move to other areas due to the invasion of ambrosia. For children it can be fatal. The dangerous weed penetrated to Germany. Biologists are sounding the alarm. Equipping expeditions for the destruction of ragweed. Yet "captured" the area is negligible, but do not forget about the insidious ability of this plant to draw out all the minerals from the soil and actively proliferate. With the proper approach, there is every chance to pull out all the weeds and eliminate the threat. It is much easier to prevent the occurrence of ambrosia in a certain place, than to deal with the consequences. To do this, carefully check all the seeds that are going to seed. The assembled mold is transported away from highways and big cities to avoid the possibility of penetration of the weed on their territory. Often in the fight against ambrosia chemicals are used. To be effective, you must use the rules regarding permitted pesticides on the territory of a state. However, the most simple and practical way of cleaning the soil from seeds of ambrosia remains a fallow field. After this procedure destroyed up to 80% of the seeds.